So what do you think my number one asked question is when it comes to ANY portrait session is? Did you guess 'picking outfits'? Cause that's the answer! Trust me, even I fail at picking my own on camera outfits as well. It's not easy! But every season I try and ease the stress by creating a style guide to help find colors and textures that work well on camera. For my own wardrobe, this has helped a LOT! But this season, I have a special treat. 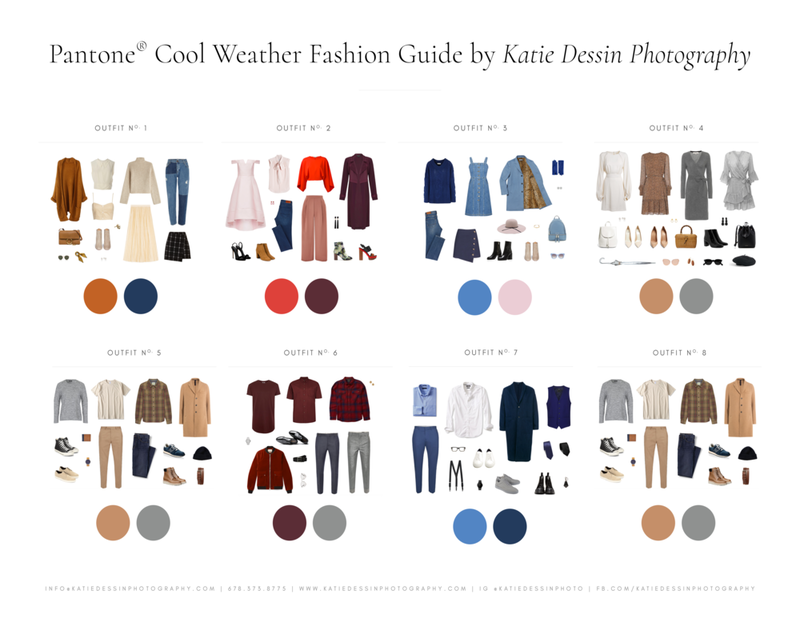 Instead of sharing a guide based on the calendar, I have a guide based on the best fashion resource we have: Pantone! Check out the virtual guide below, or download it to your computer or phone to use as a reference next time you find yourself in J Crew or Anthropologie! Looking for a new Holiday Party outfit or just some items to add to your Christmas list? This visual guide will be the perfect place to start.